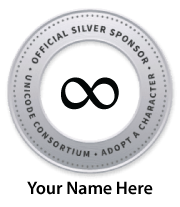 International Components for Unicode (ICU) is a mature, widely used set of C/C++ and Java libraries providing Unicode and Globalization support for software applications. ICU is widely portable and gives applications the same results on all platforms and between C/C++ and Java software. As of this week, ICU has moved from a self-hosted source code and bug tracking environment, to git on GitHub and Jira on Atlassian Cloud, respectively. Pull requests are welcome, as are bug reports on the new issue tracking system.